I decided not to add a sentiment to this card so that I can put it in my stash and stamp when I'm ready to use it. I do that a lot when I'm creating just to play. I just love those little, cute, adorable clothes. 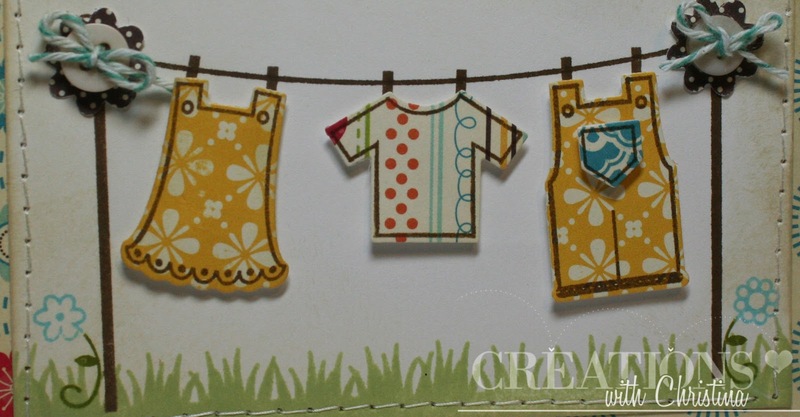 This set has an outline stamp of the clothes and I love that I can punch the clothes on a pattern paper with the coordinating die and then outline the outfits. I wanted to add a little more dimension to my card so I took the boho blossom punch from Stampin Up! 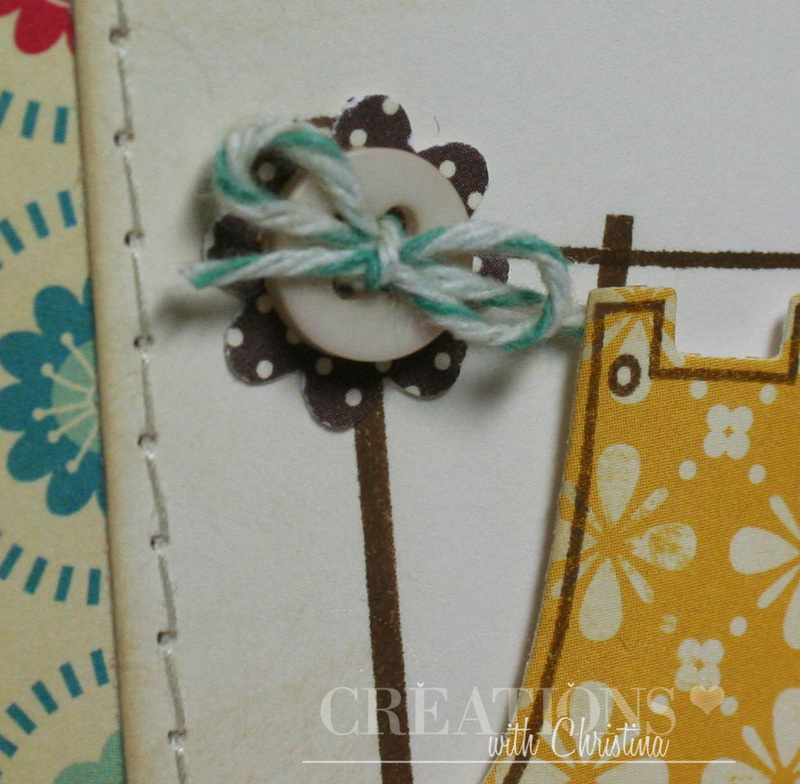 and punched a flower to cover the little stamped strings on the clothesline. Then added the buttons with baker's twine. adorable card. Missed seeing you posting for a few days. I'm checking out that PTI die/stamp set right now. Love it, so very cute. Great detail to the entire card. Thanks for sharing your talent with us. VERY cute card. Your color and paper choices are always perfect. I didn't get this set but I sure do LOVE it! So cute !!!! I love it. Adorable, Christina! I love your stitching and the way you made a thicker patterned paper border around your main layer. Such a cute card and the clothes colors are perfect. This is an absolutely precious die set and stamp set and you did an adorable card with it. Love, love, love it! Super cute set and card. I'm wondering though, what kind of occasion would you use a card like this? I was trying to think of "pun" type phrases, such as an apology of "sorry for leaving you hang out to dry" but I can't think of any others, does anyone else have ideas? Your card is so cute! 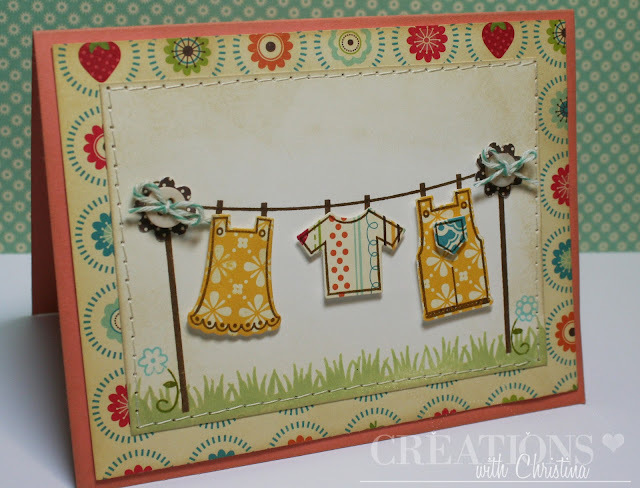 I love the flower button tops to your clothes line. Thanks for sharing the info on the cut clothes stamps and die set. 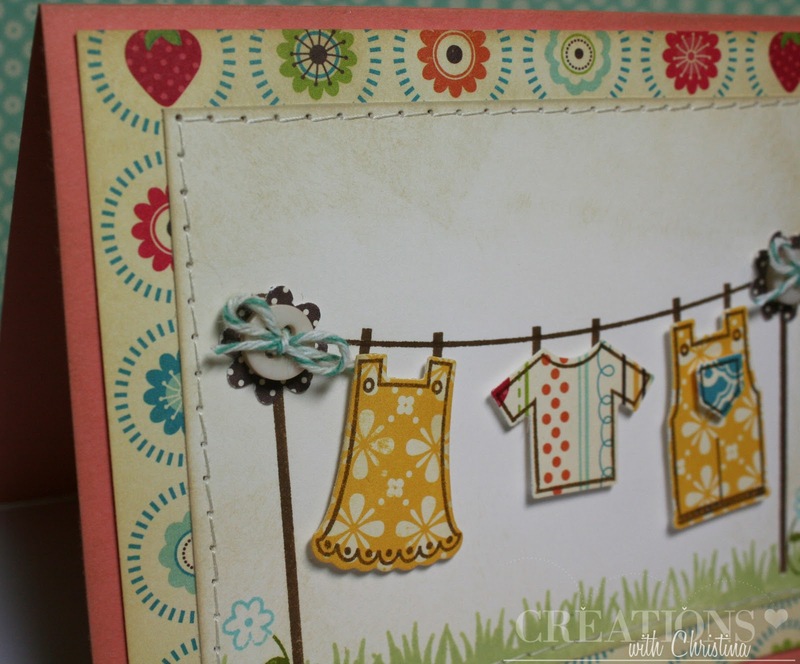 I LOVE this card because it reminds me of going home in the summer and hanging my clothes on mom's clothes line!!! I have to buy this stamp set!!! Love the card and your stitching is perfect! This is such a cute card and it is perfect for lots of occasions so keeping it without a sentiment for now is a great idea.